HTMLPrimer.com is actually a hybrid of two different types of sites. First off, it gives its visitors a quality selection of web design articles and industry news. On the other hand, it is the home of the Collaborative Primer -- an attempt to create the ultimate web design resource by combining the efforts of site visitors and a dedicated team of editors and moderators. The Collaborative Primer is very much like a wiki, only it uses HTML formatting instead of typical wiki syntax. While everyone can contribute to the Primer, site visitors cannot create new pages. The existing chapter structure covers what we feel are the essential HTML and CSS topics. We remain open to user feedback and proposals about new chapters. Okay, I feel like sharing some of my knowledge. How do I contribute to the Primer? It's easy. Everyone can participate by simply logging in and clicking the Edit button on any page of the Primer. Please note that the purpose of the pre-existing chapter structure is to guide you where to post your contribution. If you are a first-time visitor to the site, you can become a part of the community in three easy steps. 3. Open your email and click on the registration link. There! You are now the proud owner of an HTMLPrimer.com account. 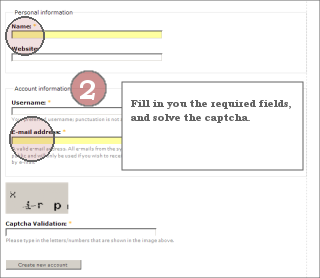 By clicking on the "My account" link in the menu you can modify your password and add more information about yourself. 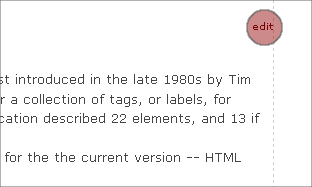 If you publish an article on HTMLPrimer.com, that information is displayed in the "About the author" box, which appears below a submitted article. When you are logged in, you can post comments without waiting for moderation, and submit your own web design articles. 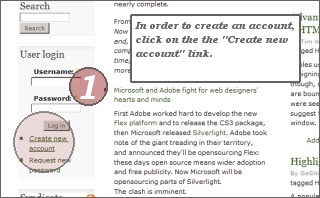 Logged-in users have the option to contribute to the HTMLPrimer, and they see the "edit" link next to each section.